Lord Mayor Marte Mjøs Persen is a woman with a very busy schedule. Besides sitting at the helm of Norway’s second largest city, she is also the mother of four. Her now grown-up son was followed by triplets, still in their preschool years, as she juggles the demands of home and office. With her busy travel schedule in Norway and Europe, a trip across the Atlantic is not easy to fit in. But when the opportunity to represent Bergen at the opening of the new Seattle Nordic Museum came up last May, Mayor Mjøs Persen felt it was an occasion too important to pass up. 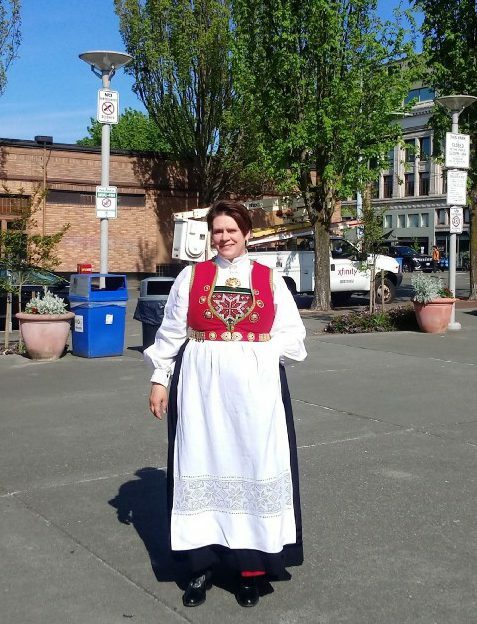 “Seattle and Bergen have been sister cities for many years,” she commented, “and there are strong commonalities and connections between the two municipalities: geography, industry, education, research, and cultural life, to name a few. Our cities have much to share and learn from each other.” The museum exhibits tell the story of Norwegian immigrants to the Pacific Northwest and touch on the influence that Nordic countries have on the region today. 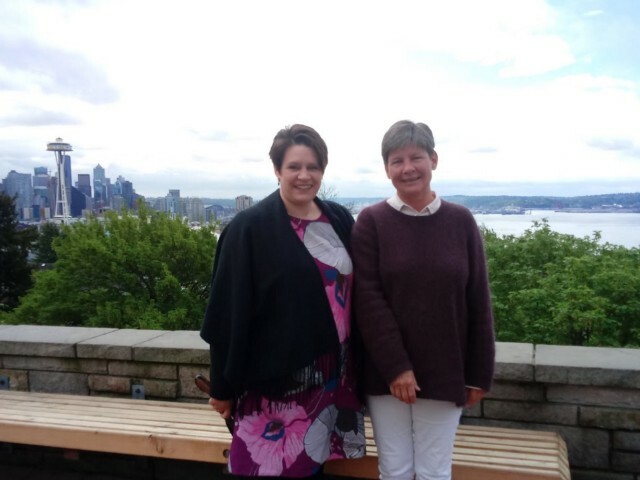 Fortunately for all, the mayor was able to stay in Seattle for a few days and had the opportunity to explore the city together with the Seattle-Bergen Sister City Association. As we sat in a coffee shop directly across from Bergen Place Park in the heart of Seattle’s Ballard neighborhood, it was a time to reminisce on the past as well as assess the present issues of our cities. These issues included LBGTQ rights, opioid harm reduction, and public housing. At the center of her itinerary was a symposium “Sister Cities Working Together: Tacking the Heroin Crisis,” sponsored by the sister city group and the City of Seattle. It included participants from Seattle’s municipal government; King County Public Health; Stephen Finlay of Safepoint in Surrey; B.C, Mayor Mjøs Persen; and Marit Sagen Grung, Coordinator for Addiction Services in Bergen. Outside of Norway, it is not well known that Bergen at one time was home to the largest open drug scene in Europe and is still grappling with a serious heroin epidemic to this day. It is a problem that many port cities face, including Seattle and Vancouver, B.C. The three cities have taken different approaches to the opioid crisis. Both Vancouver and Bergen have opened safe injection sites as a measure to decrease overdose deaths and increase public health and safety, but in Seattle proposals to do the same have generated a controversial debate. Statistics from Canada and Norway indicate that the safe injection sites have significantly aided harm reduction and increased safety on the streets. In both countries, the safe injection sites are an integral part of comprehensive programs that provide housing, counseling, and long-term treatment options to addicts. Mayor Mjøs Persen learned that “there are also a lot of good things happening in Seattle.” She was impressed by the services offered at the Navigation Center, a flexible “low barrier” housing facility located on the edge of the Little Saigon neighborhood. With few intake questions asked, street addicts can find shelter there together with their partners and pets. Their drug and alcohol use is not brought into question. The facility offers sound nutrition, a clean warm bed, hot showers, and laundry facilities, along with health care and social services. 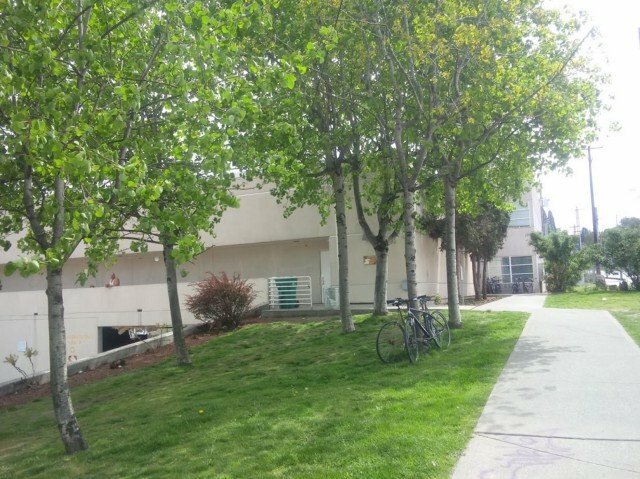 However, the Navigation Center is a temporary solution for the homeless - finding permanent housing in the Greater Seattle region is much more challenging. “Housing is a basic human right,” asserts the Bergen mayor, and “to solve other problems, you must first solve the housing issue.” Much of the success of the opioid treatment program in her city can be attributed to a comprehensive housing initiative that, in theory, does not leave anyone without a roof over their head. For Mjøs Persen, the numbers of homeless as well as overdose deaths in Seattle are staggering - and visible. She emphasized that most addicts have been severely traumatized and suffer from serious mental health issues. In order to help them, it is necessary to find a way to reach out to them, and a safe place to live is often the first step on a path to help, stabilization, and possible recovery. A visit to the Pride Foundation in Seattle’s Madison Valley neighborhood offered the Bergen mayor the chance to meet with local leaders engaged in supporting the LGBTQ community, both in terms of social services and legislative activism. Of interest were the challenges faced by transgendered individuals, something as basic as obtaining a legal ID. The mayor was impressed by the comprehensive LGBTQ services offered. Like Seattle, Bergen is part of the Rainbow City Network, as its city government works to make it a better place to live for everyone regardless of race, creed, religion, or gender. It is the mayor’s belief that openness, tolerance, and inclusivity are at the core of any healthy society. “Hate speech is not acceptable in any direction,” she remarked. Unfortunately, even in her hometown, she has seen a backlash of reactionary thoughts. Some believe that both foreigners and the underprivileged should fend for themselves and especially fail to see why addicts should be supported. “But no one is free unless everyone is free,” Marte Mjøs Person affirmed. A trip to Seattle is not complete without some sightseeing, and the sister city association was happy to oblige. Mayor Mjøs Persen and Deputy Sagen Grung were impressed by the abundance of trees and luscious greenery of the Emerald City, with the surrounding mountains and water - not so unlike their home in Western Norway. An unexpected highlight for the two Norwegian visitors was a stop for lunch in Seattle’s International District. They were fascinated to find themselves in a popular dim sum restaurant filled with local Chinese speaking their native language and enjoying their own authentic native cuisine. The mayor was impressed with how naturally ethnic groups seem to co-exist within the greater community. In this context, we spoke of the challenges that the current migrations around the world pose: housing, education, and integration. Again, Mjøs Persen stressed that openness and tolerance are key in helping immigrants build a new, meaningful life. Mayor Mjøs Persen also found it insightful and enjoyable to meet with members of the Seattle-Bergen Sister City Association, to socialize over dinner and talk about programs that would be of mutual benefit to the two cities, including transportation, air pollution, climate change, and arts and culture. Both cities are hubs of world-class classical music and jazz, Bergen is home to an outstanding youth orchestra and is also the black metal capital of Norway, and Seattle is the uncontested home of grunge: the possibilities for exchange across all genres and age groups seem almost endless. The City of Bergen is excited that Seattle is now home to the new Nordic Museum, an ideal venue for exchange programs between the two cities. While American and Norwegian societies are fundamentally quite different, the Mayor believes that a good relationship between Seattle and Bergen can make the lives of citizens in the two sister cities better. “I am everyone’s mayor ” proclaimed Marte Mjøs Persen, Lord Mayor of Bergen, mother of four, and champion of human rights and equality. In Seattle, we were fortunate to share in her compassion and generosity, as we look forward to a continued relationship of cooperation and mutual enrichment. No Replies to ""I am everyone's mayor" Bergen's Lord Mayor visits Seattle"